This free printable Autumn ABC Pack was created by Erin at RoyalBaloo.com exclusively for FreeHomeschoolDeals.com. Fall is such a fun time of year! Extend your learning with these adorable ABC Pages! There are 18 pages of fall themed fun! 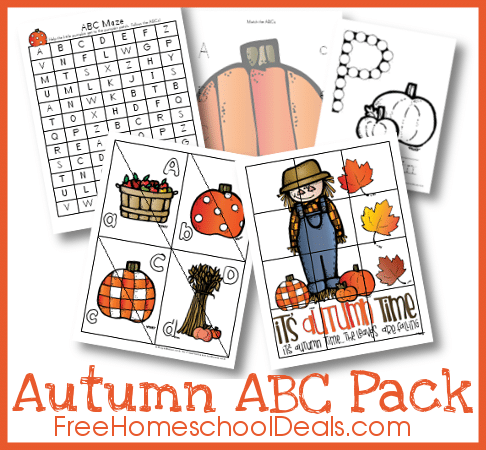 >>> Click here for your Free Fall Themed ABC Printable Pack! Thank you so much! These look great!